It was the biggest funeral Chicago had seen since Lincoln’s. On May 26, 1889, four thousand mourners proceeded down Michigan Avenue, followed by a crowd forty thousand strong, in a howl of protest at what commentators called one of the ghastliest and most curious crimes in civilized history. The dead man, Dr. P. H. Cronin, was a respected Irish physician, but his brutal murder uncovered a web of intrigue, secrecy, and corruption that stretched across the United States and far beyond. Blood Runs Green tells the story of Cronin’s murder from the police investigation to the trial. It is a story of hotheaded journalists in pursuit of sensational crimes, of a bungling police force riddled with informers and spies, and of a secret revolutionary society determined to free Ireland but succeeding only in tearing itself apart. It is also the story of a booming immigrant population clamoring for power at a time of unprecedented change. From backrooms to courtrooms, historian Gillian O’Brien deftly navigates the complexities of Irish Chicago, bringing to life a rich cast of characters and tracing the spectacular rise and fall of the secret Irish American society Clan na Gael. She draws on real-life accounts and sources from the United States, Ireland, and Britain to cast new light on Clan na Gael and reveal how Irish republicanism swept across the United States. 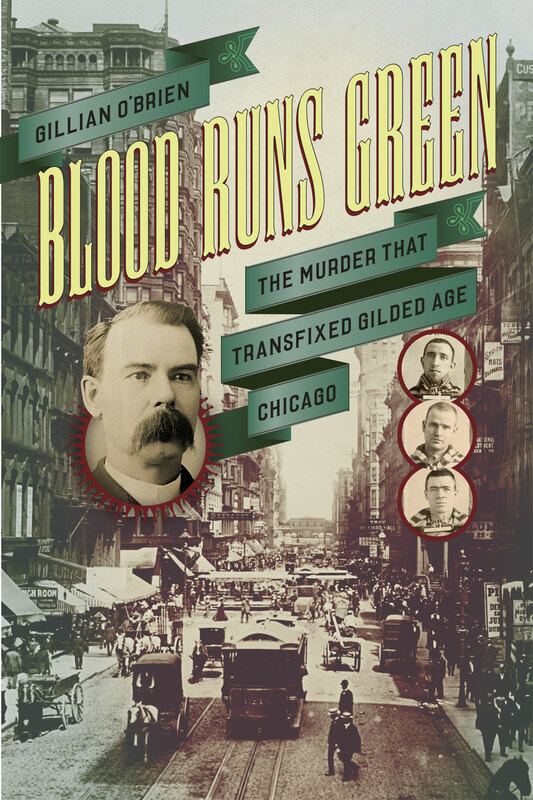 Destined to be a true crime classic, Blood Runs Green is an enthralling tale of a murder that captivated the world and reverberated through society long after the coffin closed. Please reserve your tickets through Eventbrite. Tickets are free and open to the public. *The book will be available for purchase after the lecture.